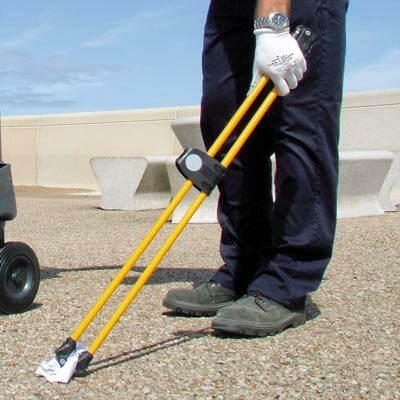 We produce a range of litter collection equipment tools, ideal for sweeping and cleaning for both external and internal environments. Our multi–purpose cleaning and service trolleys can be used for collection of waste, segregation of different streams and transporting equipment, saving time and increasing efficiency around shopping centres and food courts. 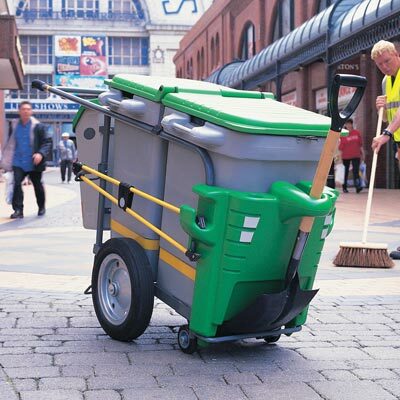 Large handles and wheels make our street cleaning trolleys easy to use and manoeuvre and strong sack retention systems allow for quick removal of waste which is ideal for Local Authorities managing busy town centres and retail parks. 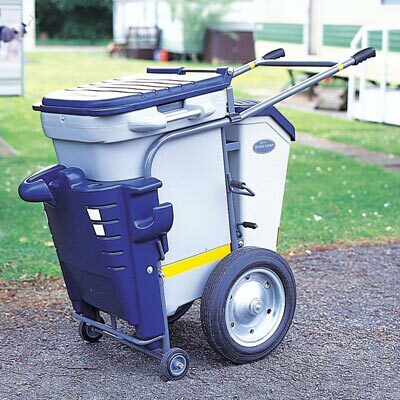 The street litter collection barrows are also available in a variety of colours to suit your needs. We also supply other street cleaning products such as litter picking tools and Graffiti Wipes. 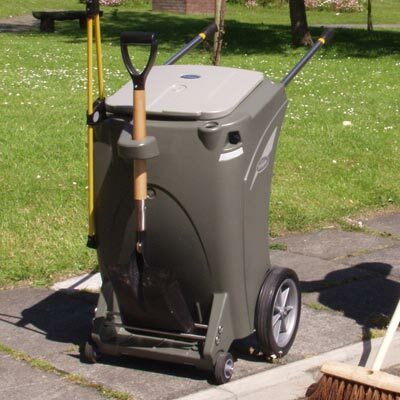 We also offer a wide range of litter bins and recycling containers for streets, workplaces and schools which are easy to empty, handle and clean.